This post is sponsored content from Kia. This year, for the first year since Ben and I have been together, we stayed home (mostly) for the holidays. Although we really missed getting to spend time with his family, it was so, so nice for us. 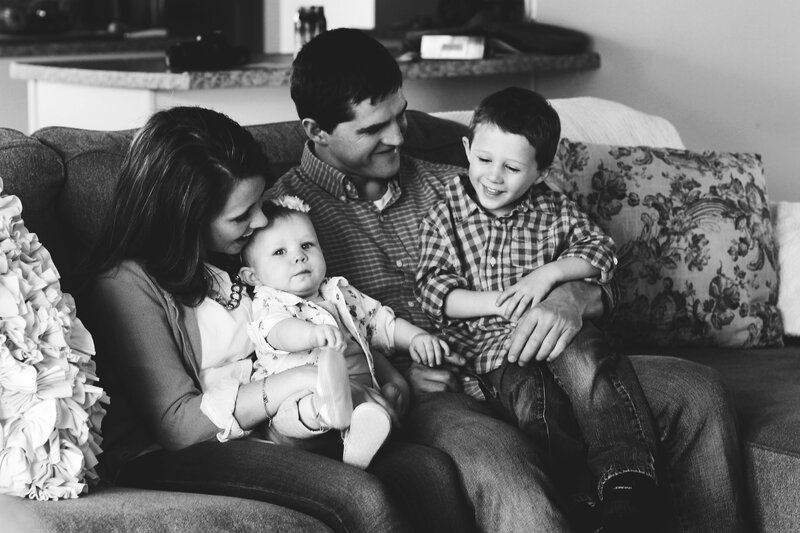 Traveling over the holidays, especially with a toddler in tow, can be a little stressful. We’ve learned some tips and tricks through the past two years that have really helped minimize the stress and maximize the fun. 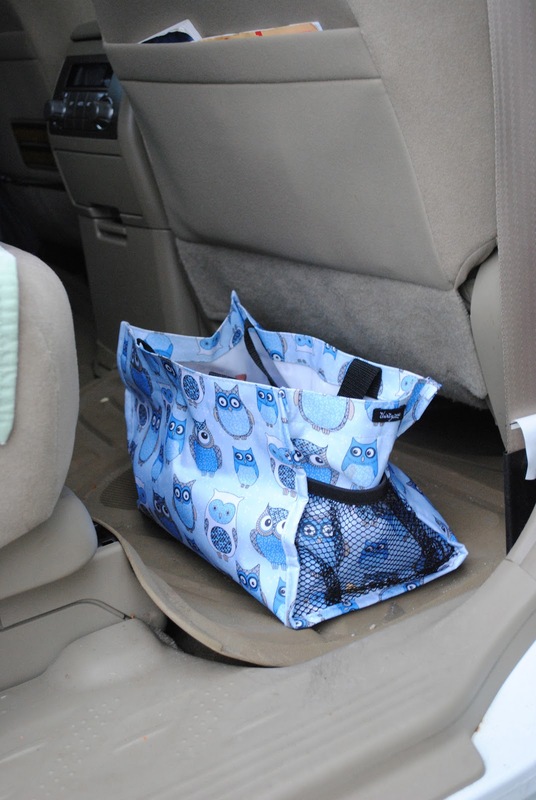 – Organize your car. I’m a little obsessive when it comes to mess. Traditionally on a road trip, I’ll have Ben pull over at least 3 or 4 times to ‘clean out the car’. He thinks I’m crazy. I agree. Somehow when we travel, trash and junk pile up in the car. Between food/drink stops and toddler paraphernalia, our car becomes quite a wreck. 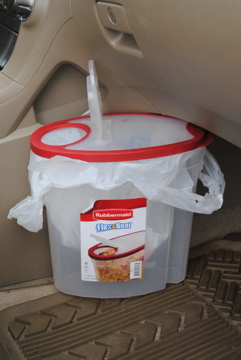 Several months ago, I found a pin on pinterest that, at the risk of sounding like a total loser, changed my life: a cereal container turned trashcan! Seriously, it’s just too much. I can’t tell you how handy it is to keep the clutter to a minimum. I also keep a small diaper bag below PB’s carseat. I use it to store emergency items, like extra diapers, a couple of water bottles, extra clothes for PB, and some wipes. It’s also a good ‘catch-all’ for the extra toys laying around. I feel much less cluttered when I can toss his toys in a bag. -Plan for stops. The first roadtrip we took with PB was a total disaster. I think he cried the whole way, and we made about 47 stops. The reason why? Lack of planning. We lived, we learned, and we tried it again. The next roadtrip we made, we planned ahead. We left around PB’s naptime, so he was able to nap a couple of hours. When he woke up, we were ready to stop ourselves. We had a leisurely lunch and stretched our legs for at least an hour. Once we were back on the road, we used our arsenal of toys to keep him entertained for a while. We had planned our last stop at a nice rest area that had a large picnic spot. We were able to let PB run around and burn some energy for a little bit. Planning for our stops has made such a difference when we travel. -Pack like a pro. And I’m not talking about bags. I don’t know about you, but we’re always hungry when we’re on the road. And instead of stopping 224 times for snacks/drinks and delaying our trip, we started packing snacks last year when we traveled. It has saved us time, money, and hunger pains. I use a small lunchbox with an ice pack, and put string cheese, yogurt, and milk for PB in it. I found a pin on pinterest for easy snack storage on the go. I use these to store goldfish, pretzels, and cookies. I like this idea because this keeps your snacks from getting squished or stale. Between my little lunchbox and my 2 or 3 snack containers, we’re good to go on the road! Do you have any tips for making holiday travels stress-free? Do you have any car organization/storage tips that make for easier traveling? You've inspired me! Nick gets free rental cars from work now and always wants to take them when we go out of town. I HATE not having all my own stuff in my own car organized how I usually like it, but after seeing this post I'm going to get a tote like yours that I can easily move from our car to the rental and back again. I love the cereal box idea, too! I usually have a grocery bag looped over my gearshift but it would be much neater in its own little trashcan. 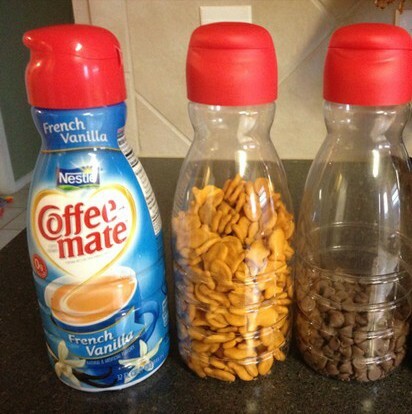 I love the idea of using the old coffee mate bottles for snacks! Genius! !